Nirzar added a comment to T220047: Can't read the rest of our news articles. Jdrewniak awarded T171701: Use better site navigation on large screens for Minerva a Like token. Nirzar added a comment to T216772: The panels should use column width (60%) instead of spanning across the entire screen. Let's not worry about the other elements stretching, vector not having a column grid is stopping us from implementing these changes. the task around that is pending since 2013 and it feels like a separate issue. Nirzar added a comment to T18691: RFC: Section headings should have a clickable anchor. Jhernandez awarded T175877: Update sans-serif font stack on mobile web to use system typefaces a 100 token. alexhollender awarded T175877: Update sans-serif font stack on mobile web to use system typefaces a Love token. Nirzar added a comment to T204081: Color of visited links is difficult to distinguish from plain black text in MinervaNeue skin. Shreyasminocha awarded T171701: Use better site navigation on large screens for Minerva a Like token. Jdrewniak awarded T181200: Use "Charter" as preferred typeface on Electron a Love token. Niedzielski awarded T168087: W Favicon is not HiDPI compatible a Love token. Nirzar added a comment to T198534: [BUG] Thumb border images in articles shown are being shown with no border in the Android app. Nirzar added a comment to T208554: Issues on eswiki-2018 campaign. Liuxinyu970226 awarded T91201: Accessibility settings/preferences a Like token. Nirzar added a comment to T207816: Create URL for Mexico Awareness Campaign. Nirzar closed T202590: Design for the landing page as Resolved. Nirzar closed T202590: Design for the landing page, a subtask of T200289: New custom landing pages for marketing campaign in es.wiki, as Resolved. Nirzar added a comment to T202590: Design for the landing page. Nirzar added a comment to T202592: Instrument the landing page. @atgo we have the most events down for instrumentation. to collect data about the visitor we need to know what demographics are needed to be captures. i.e. device info, country etc. would you list them down here so we can make sure we can get those. Nirzar added a comment to T194686: Imagery for all sections of style guide. iamjessklein awarded T186057: Typography section: Include more best-practices a Cookie token. Nirzar added a comment to T204691: MobileFrontend overlay toolbar can have no top border in Chrome 69 on Android. Nirzar added a comment to T204192: Research text input support for Indian scripts. AFAIK the app cannot change the keyboard the user is using..
Nirzar changed Due Date from Sep 10 2018, 7:00 AM to Oct 5 2018, 7:00 AM on T202590: Design for the landing page. Nirzar updated the task description for T200289: New custom landing pages for marketing campaign in es.wiki. Nirzar updated the task description for T203496: Implement visual changes on CleanChanges for SDC. Nirzar assigned T203496: Implement visual changes on CleanChanges for SDC to Prtksxna. Nirzar changed Due Date from Sep 30 2018, 7:00 AM to Aug 30 2018, 7:00 AM on T202590: Design for the landing page. Nirzar triaged T202592: Instrument the landing page as Low priority. Nirzar updated the task description for T202590: Design for the landing page. Nirzar updated the task description for T202591: Frontend development for the landing page. Nirzar created T202591: Frontend development for the landing page. Nirzar created T202590: Design for the landing page. Nirzar moved T188435: Bring consistency to visual design of Interaction Timeline from Designing/discussing right now to Blocked on the Readers-Web-Backlog (Design) board. Nirzar added a comment to T178665: [Spike, 8hrs] Grave kerning issues and spacing issues in PDFs generated by Chromium (and previous Electron) via "Download as PDF". apologies for lurking on the kerning issue (my old friend)... I stumbled across another text related bug, maybe tracked somewhere else. Gerrit Code Review <gerrit@wikimedia.org> committed rWMUI8b63d43d49d4: Update patch set 2 (authored by Nirzar). Gerrit Code Review <gerrit@wikimedia.org> committed rWMUI44d1cd303391: Update patch set 1 (authored by Nirzar). Gerrit Code Review <gerrit@wikimedia.org> committed rWMUI5fb7be66cdbc: Update patch set 1 (authored by Nirzar). Theklan awarded T195190: Create a prototype to show Wikipedia Page Previews outside of Wikipedia a Yellow Medal token. 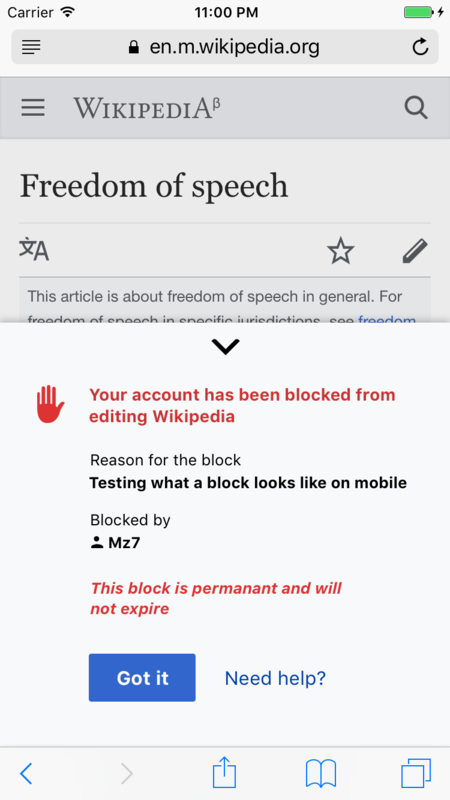 Nirzar updated the task description for T195190: Create a prototype to show Wikipedia Page Previews outside of Wikipedia. Nirzar moved T195190: Create a prototype to show Wikipedia Page Previews outside of Wikipedia from Backlog to Project on the Wikimedia-Hackathon-2018 board. Nirzar created T195190: Create a prototype to show Wikipedia Page Previews outside of Wikipedia. Nirzar added a comment to T195007: [Design} Create a cata-dogoat drawing. • Addshore awarded T195007: [Design} Create a cata-dogoat drawing a Meh! token. 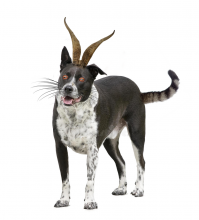 Rfarrand awarded T195007: [Design} Create a cata-dogoat drawing a Meh! token. WMDE-Fisch awarded T195007: [Design} Create a cata-dogoat drawing a Meh! token. Tonina_Zhelyazkova_WMDE awarded T195007: [Design} Create a cata-dogoat drawing a Love token. Nirzar updated subscribers of T194420: Show a warning when users try to create an account without an email address. Nirzar moved T194686: Imagery for all sections of style guide from Backlog to Next for Development on the Wikimedia Design Style Guide board. Nirzar claimed T194686: Imagery for all sections of style guide. Nirzar created T194686: Imagery for all sections of style guide. Niedzielski awarded T190549: Differentiate between internal, interwiki and external links visually a Love token. Nirzar added a comment to T193993: [EPIC] The history link is not discoverable on mobile. Nirzar added a comment to T191443: Create "Do" "Don't" imagery content type for Design Style Guide. Nirzar added a watcher for EasyTimeline: Nirzar. Nirzar reopened T189803: Add ellipsis to "Publish changes" button when editing to indicate it's not the final step as "Open". Nirzar reopened T189803: Add ellipsis to "Publish changes" button when editing to indicate it's not the final step, a subtask of T44138: VisualEditor: Toolbar "Save page" button is confusing as it merely opens the dialog to save the page, as Open. Nirzar added a project to T189803: Add ellipsis to "Publish changes" button when editing to indicate it's not the final step: Design. Nirzar added a comment to T192588: Add user block stop hand icon to OOUI. Nirzar added a comment to T165535: Block notices on mobile web for logged-in users provide insufficient information about the block. Nirzar updated the task description for T191101: Let's do this: Rollout page previews to 100% of anons on English Wikipedia. Nirzar added a comment to T175877: Update sans-serif font stack on mobile web to use system typefaces. Krinkle awarded T175877: Update sans-serif font stack on mobile web to use system typefaces a Orange Medal token. Nirzar added a comment to T188799: Update the fontstack for Wikimedia Design Style Guide. Nirzar triaged T188799: Update the fontstack for Wikimedia Design Style Guide as High priority. Nirzar moved T191443: Create "Do" "Don't" imagery content type for Design Style Guide from Backlog to v1.1 (Goal) on the Wikimedia Design Style Guide board. Nirzar moved T191448: Update typesetting for style guide from Backlog to v1.1 (Goal) on the Wikimedia Design Style Guide board. Nirzar created T191448: Update typesetting for style guide. Nirzar created T191443: Create "Do" "Don't" imagery content type for Design Style Guide. Nirzar added a comment to T191266: De-emphasize toolbar tool group borders. Nirzar assigned T191267: Blank or white background images look abruptly cut off in Page Previews to alexhollender. Nirzar created T191267: Blank or white background images look abruptly cut off in Page Previews. Nirzar created T191266: De-emphasize toolbar tool group borders. Nirzar added a comment to T190831: [Bug] Page preview portrait images should be flipped in right-to-left languages. no concerns. sounds good to me. Nirzar changed the status of T174726: Page Preview preference should be a checkbox from Stalled to Open. Nirzar awarded T191101: Let's do this: Rollout page previews to 100% of anons on English Wikipedia a Love token. Nirzar awarded T191101: Let's do this: Rollout page previews to 100% of anons on English Wikipedia a Burninate token. Nirzar added a comment to T190901: Mobile web block reason fails to display a hyperlink properly, displaying the raw HTML code for a link instead. @Jdlrobson yes, no html inside toasts. also as per task, i thought we would be using drwer not a toast? Nirzar added a comment to T189258: Update place refresh icon in Special:Nearby. Nirzar updated the task description for T190549: Differentiate between internal, interwiki and external links visually. Nirzar added a comment to T142090: Add hover-card like summary (og:description) to open graph meta data printing plain summary. atgo awarded T190101: Apply styles to mobile only for Hindi campaign a Party Time token. Nirzar added a comment to T190101: Apply styles to mobile only for Hindi campaign. Nirzar added a comment to T190549: Differentiate between internal, interwiki and external links visually. This differentiation makes little sense in current setup. Nirzar added a comment to T190711: Access to Pivot. Nirzar updated subscribers of T190101: Apply styles to mobile only for Hindi campaign. Nirzar closed T190558: Follow up: Disambiguation icon on popups preview is non-standard as Resolved. Nirzar closed T66617: List of languages looks strange when mixes RTL and LTR languages as Resolved. Nirzar closed T66617: List of languages looks strange when mixes RTL and LTR languages, a subtask of T30708: BiDi: LTR and RTL mixed up (tracking), as Resolved. Nirzar added a comment to T190558: Follow up: Disambiguation icon on popups preview is non-standard.